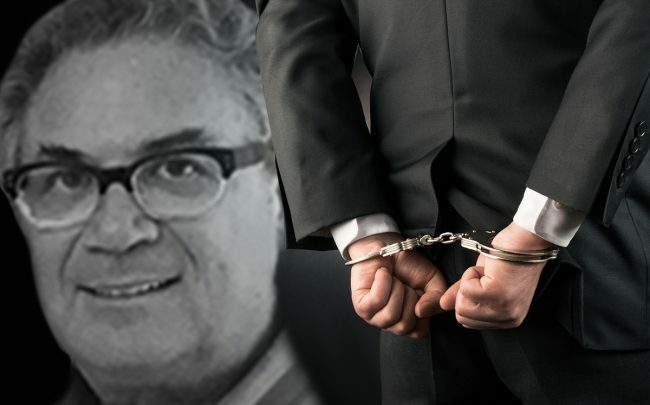 A former luxury real estate developer in Los Angeles was arrested on federal charges, accused of deceiving thousands of investors in a Ponzi scheme worth $1.3 billion. The charges against Robert Shapiro, who ran Woodbridge Group of Companies, came Thursday, despite his November settlement with the Securities and Exchange Commission over similar charges in which he agreed to pay the government $120 million. Shapiro and two former directors of investment at his company— Dane Roseman and Ivan Acevedo— have been accused of conspiracy to commit mail and wire fraud, the U.S. Attorney’s Office said in a release. Shapiro was also charged with conspiracy to commit money laundering and evasion of paying federal income taxes. All three pleaded not guilty, and Roseman and Acevedo were both released on bond, according to the Los Angeles Times. Shapiro was ordered to remain in jail. “Mr. Shapiro denies the allegations in the indictment and will vigorously defend himself in the appropriate forum,” his attorney Ryan O’Quinn said in a statement. Attorneys for Roseman and Acevedo could not immediately be reached. The indictment accuses Shapiro, Acevedo and Roseman of targeting older investors who had Individual Retirement Accounts with high-pressure sales tactics, deception and manipulation. They allegedly described the investments as “low risk,” “safe” and “conservative” but actually used money from new Woodbridge investors to pay off prior Woodbridge investors. The indictment also accuses Shapiro of using about $35 million of investor money for his own benefit, spending $3.1 million on chartering private planes and travel, $6.7 million on a personal home, $2.6 million on home improvements, $1.8 million on taxes and more than $672,000 on luxury cars. The firm ran its scheme through offices across the country, including in Boca Raton, Florida, and Sherman Oaks, California, and the indictment for Shapiro, Acevedo and Roseman came out of the Southern District of Florida, according to the U.S. Attorney’s Office. They had their first court appearance in the Central District of California. Shapiro also caused most of the Woodbridge companies to file for Chapter 11 bankruptcy, causing their investors to take significant losses, according to the U.S. Attorney’s Office. Shapiro agreed in November to pay $120 million to the SEC as part of a settlement agreement over the Ponzi scheme. The SEC filed charges against 13 individuals and 10 companies in December in connection to the scheme as well. Two Beverly Hills properties tied to the firm sold in January, including a mansion at 711 Walden Drive that sold for $13.8 million, and a home at 1118 Tower Road that sold for $7.3 million.